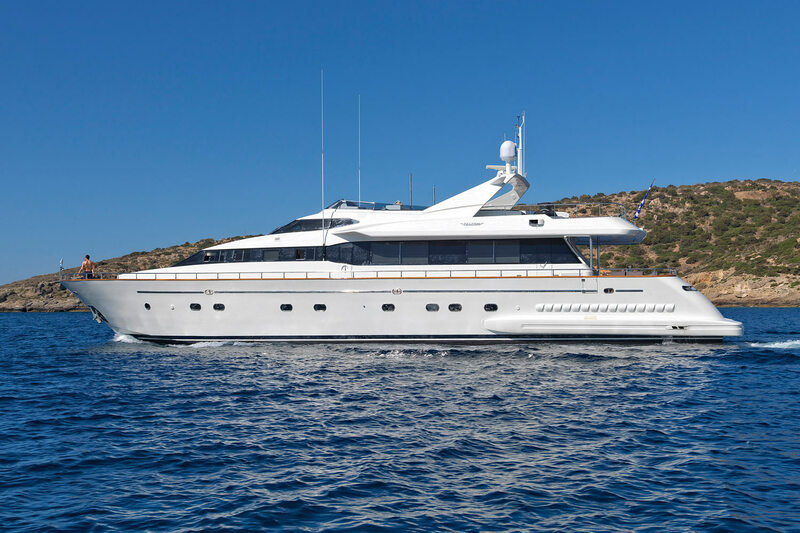 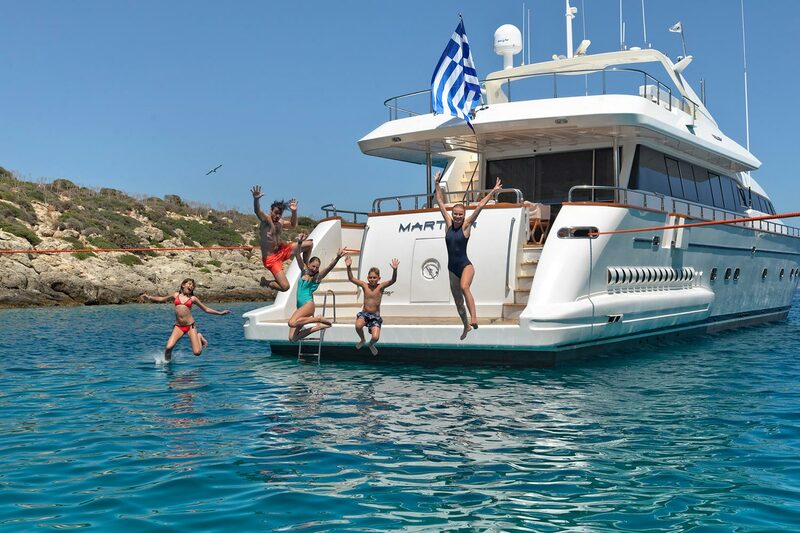 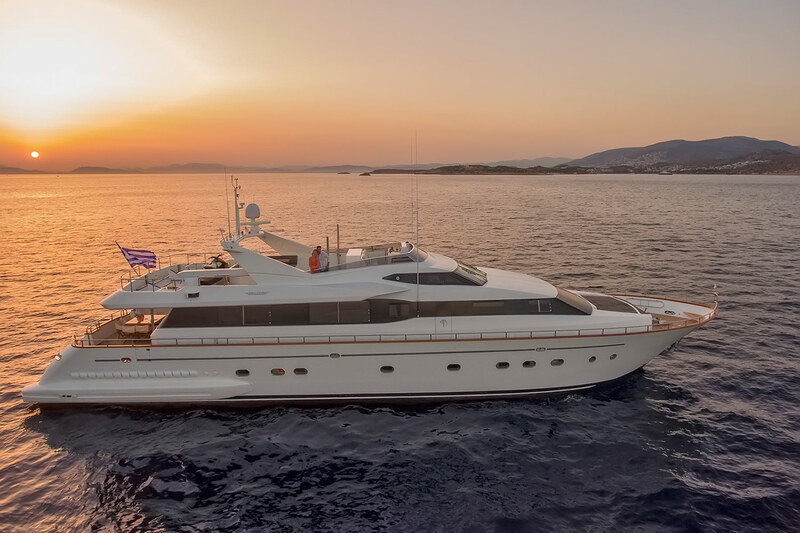 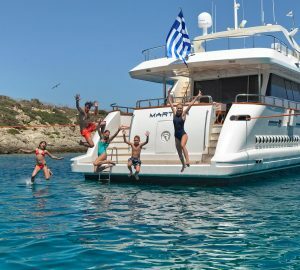 Motor yacht MARTINA was launched in 2002 by Falcon Yachts and refitted in 2016. 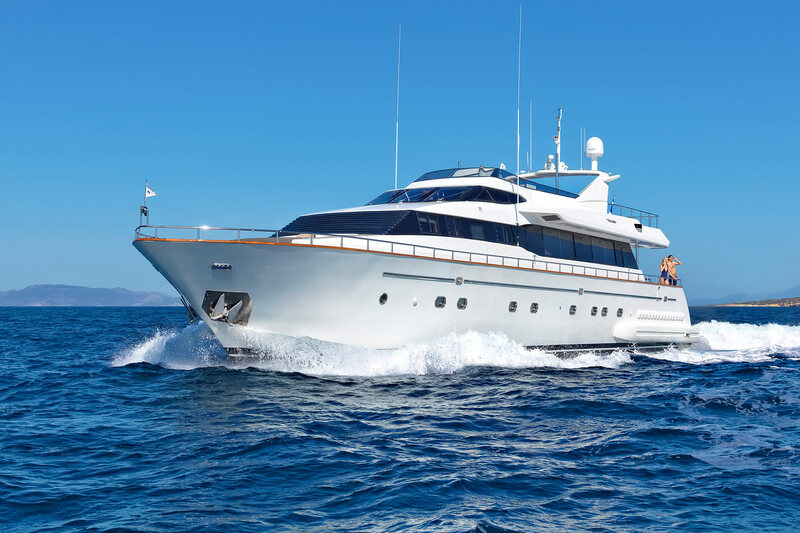 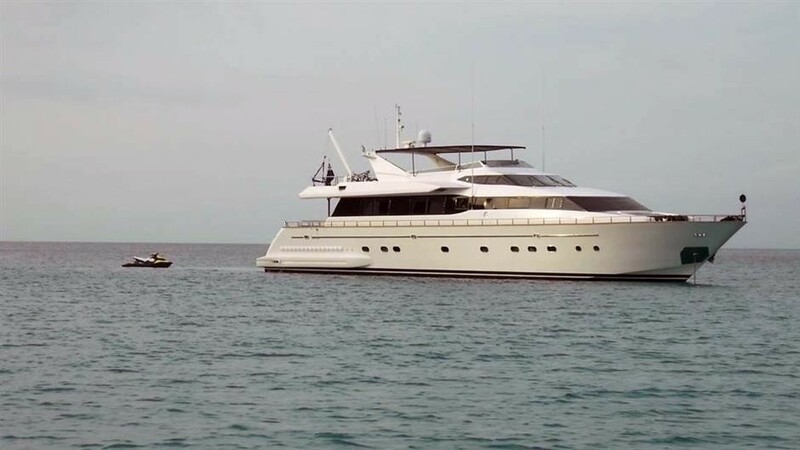 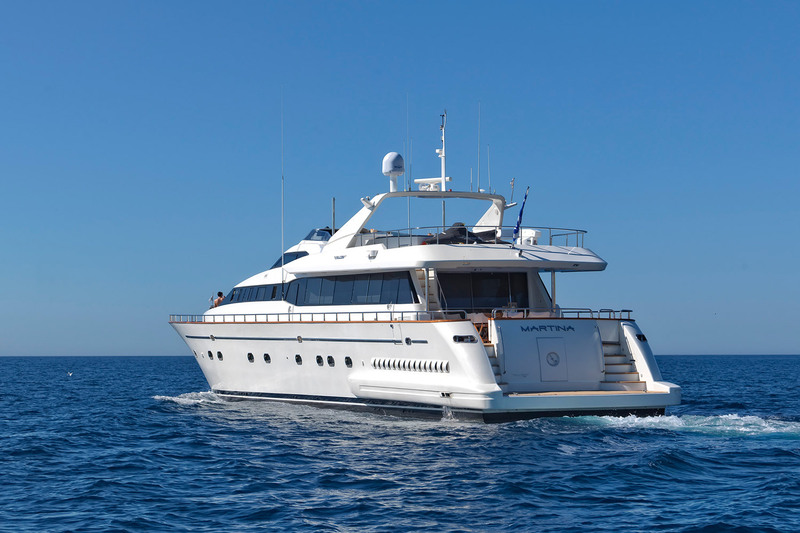 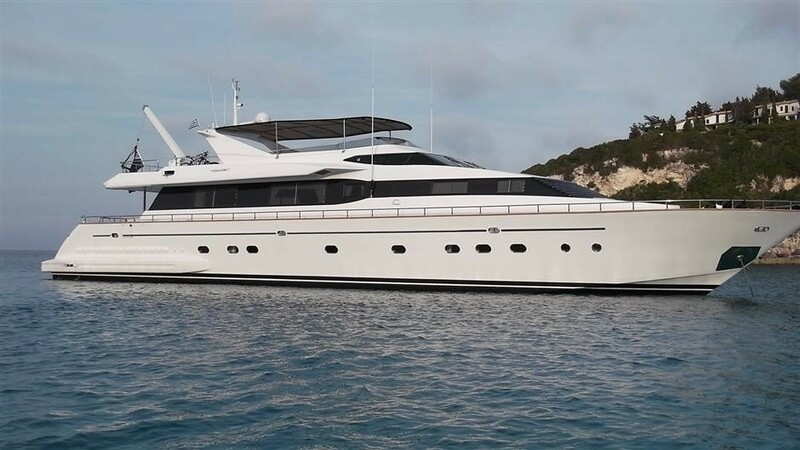 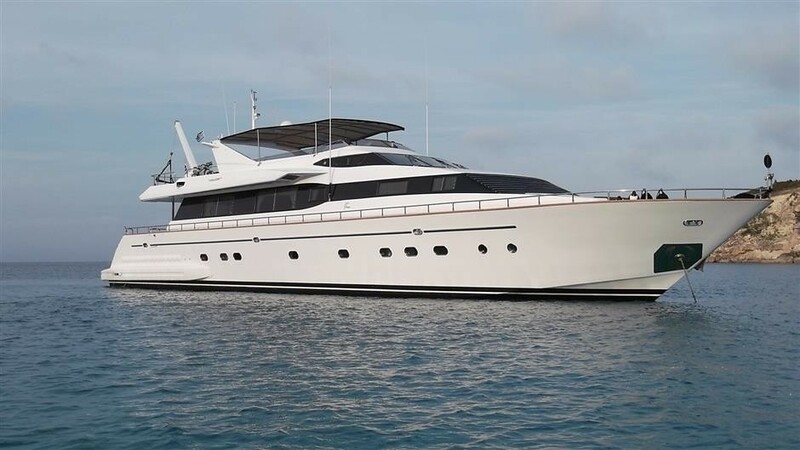 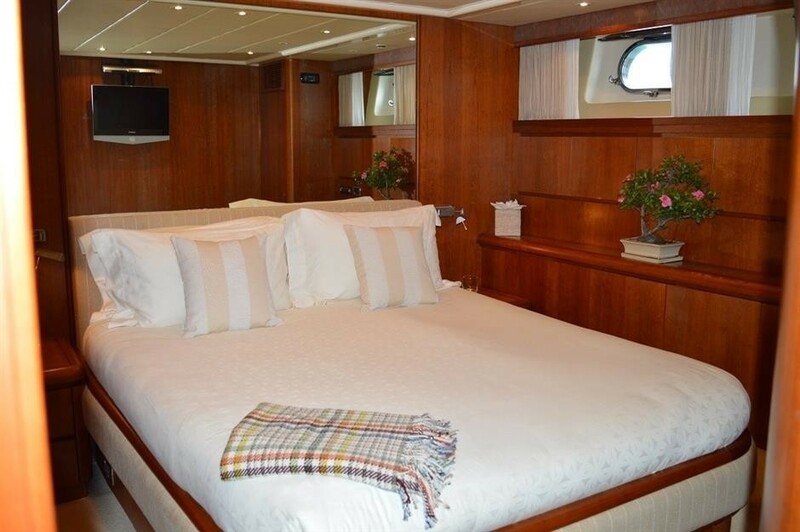 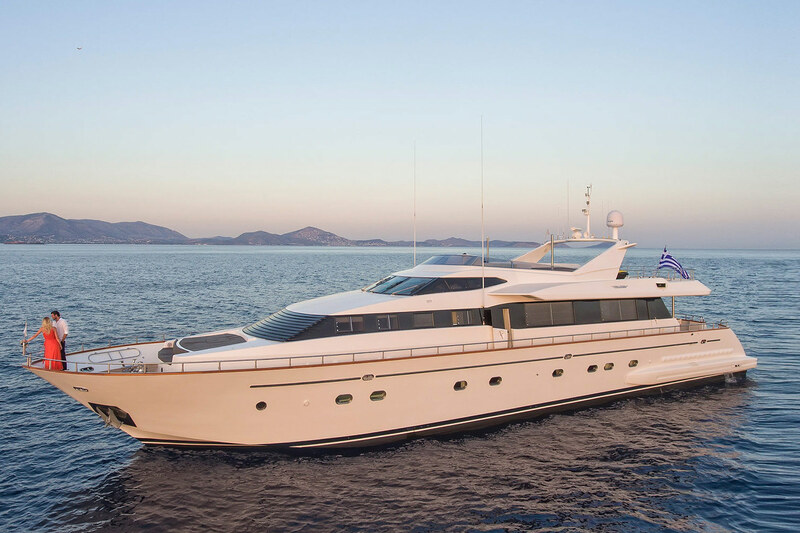 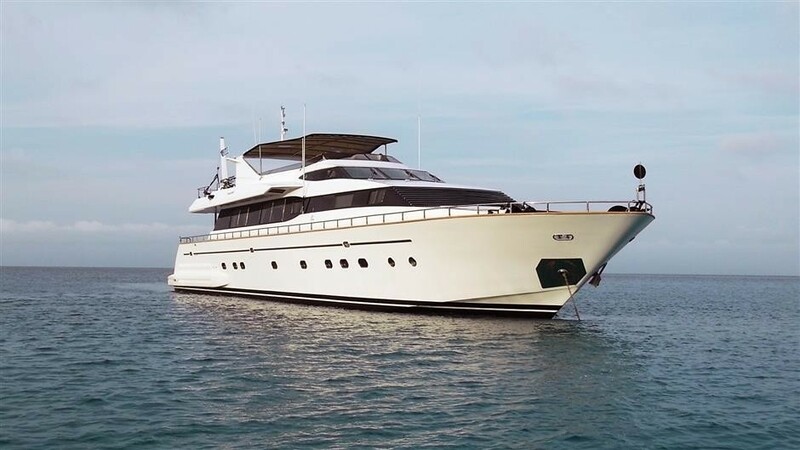 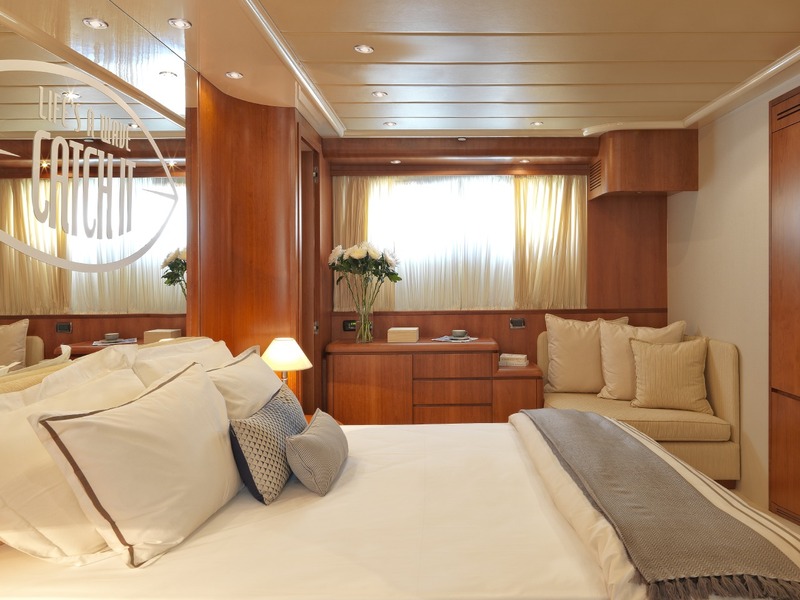 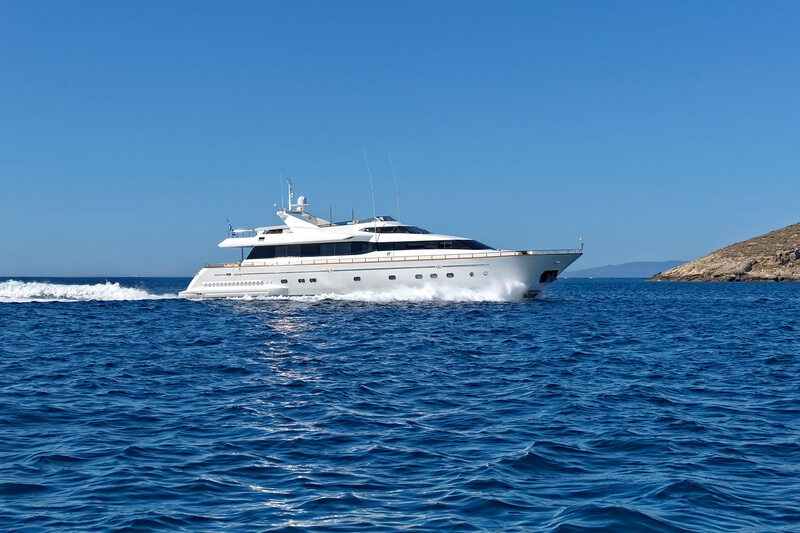 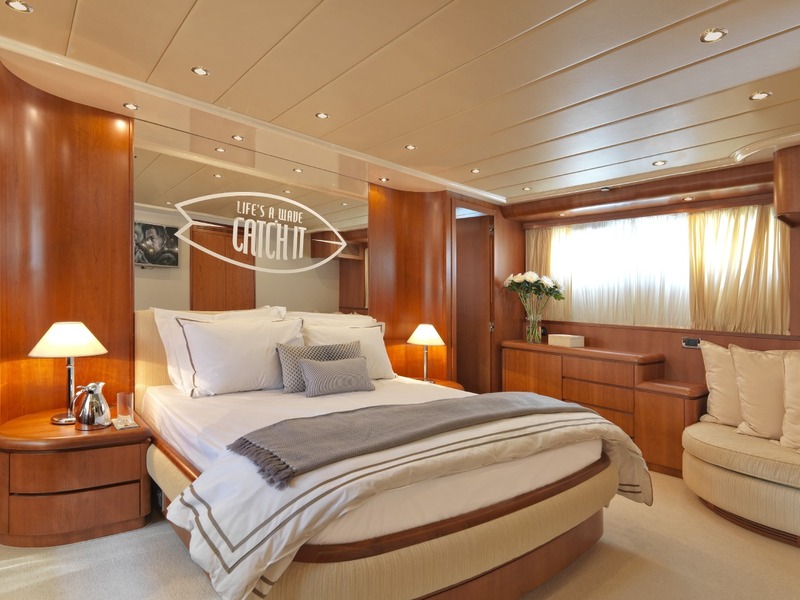 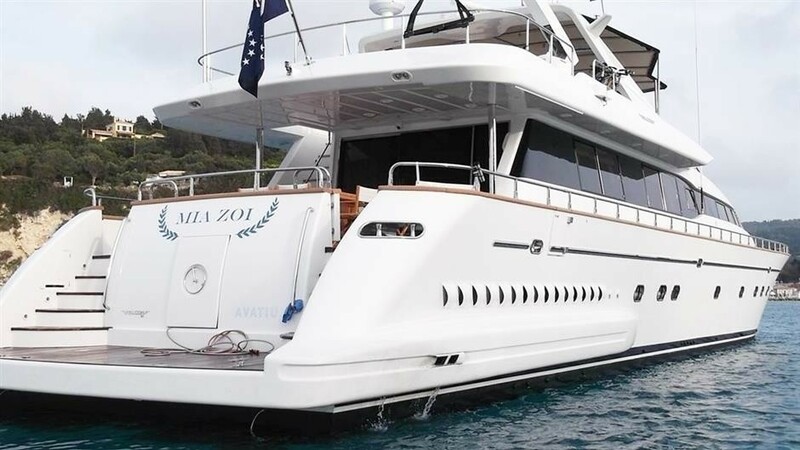 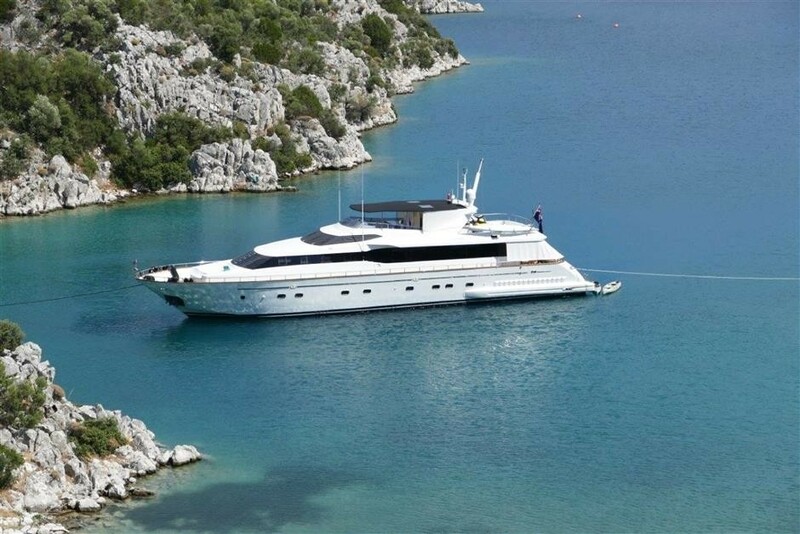 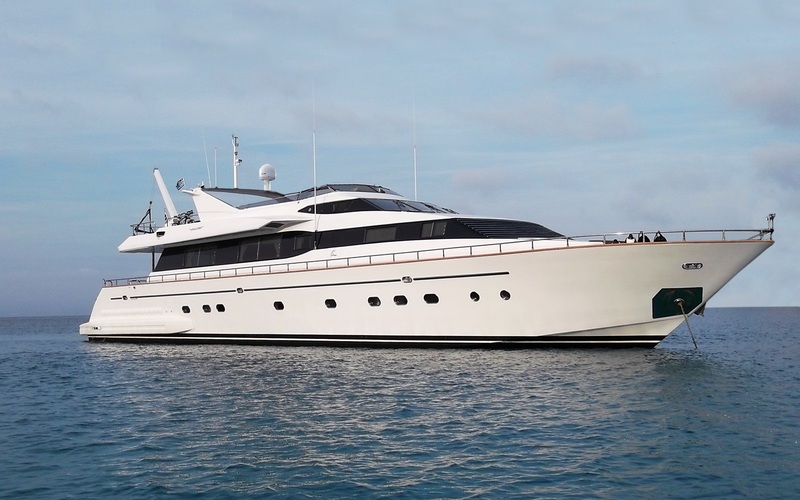 She has an overall length of 30,7m (100,9ft) and accommodation for up to 12 charter guests, in 5 spacious cabins. 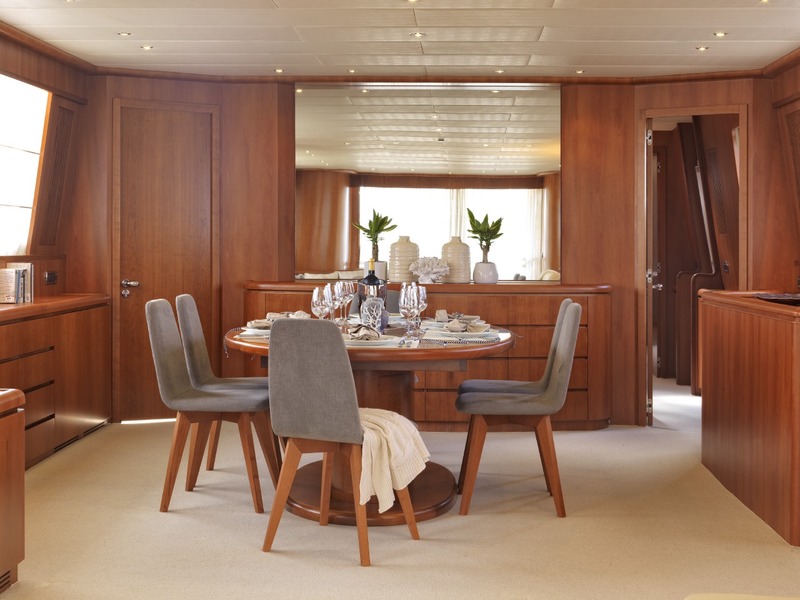 Her interior is bright with natural light and features soothing neutral warm wood panels and contemporary furnishings. 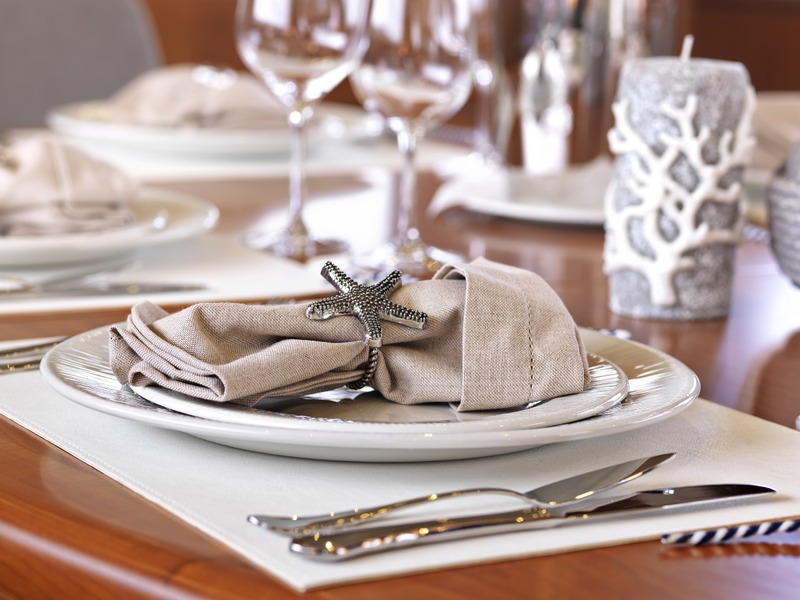 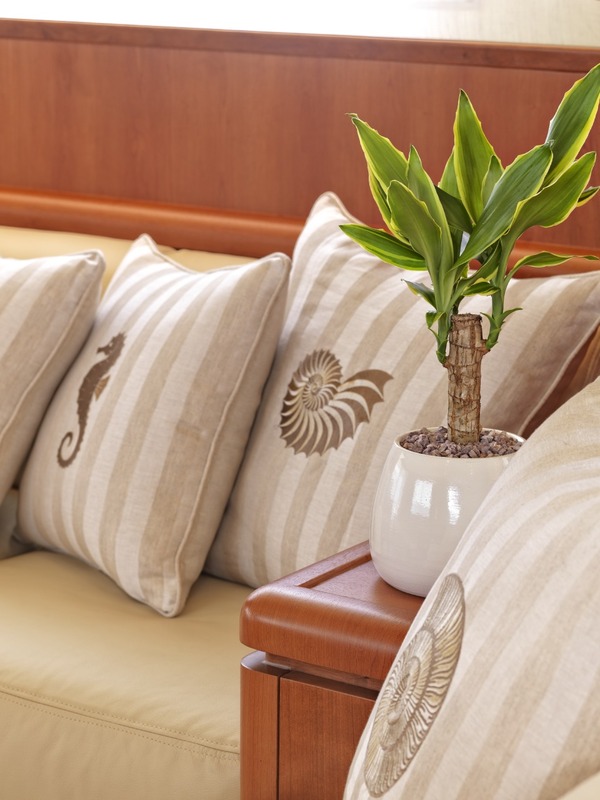 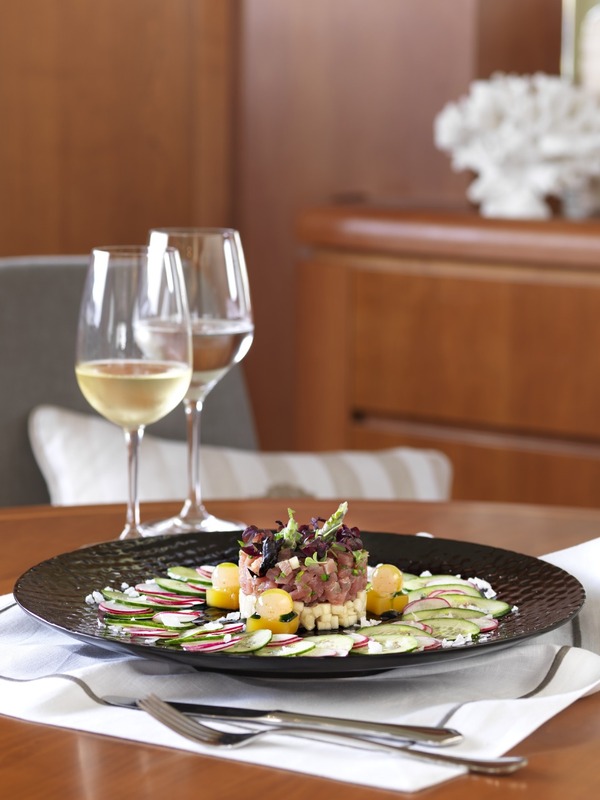 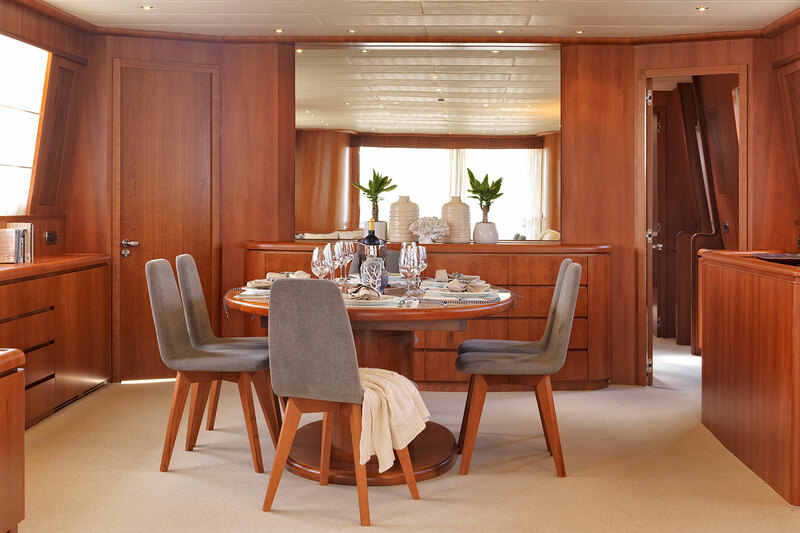 On the main deck, the salon and dining is laid in an open plan, with the relaxing lounge aft and dining forward. 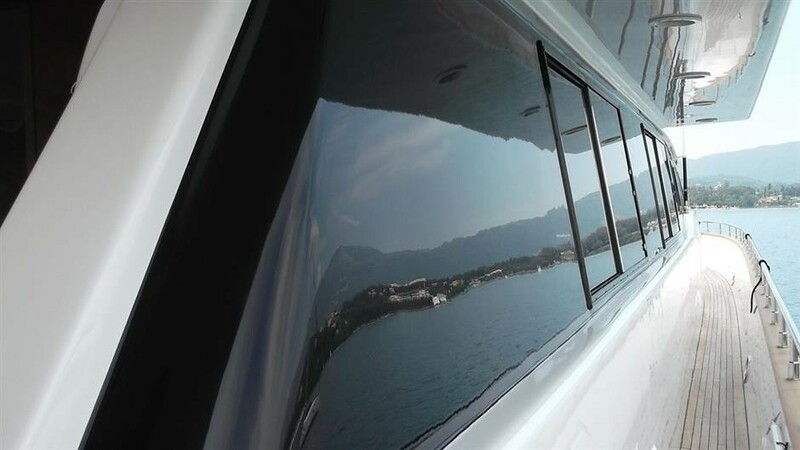 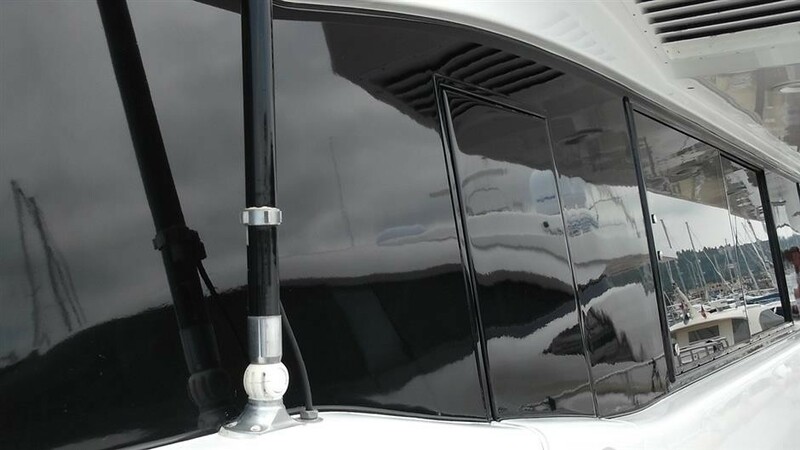 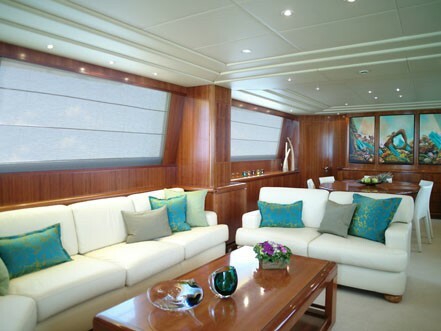 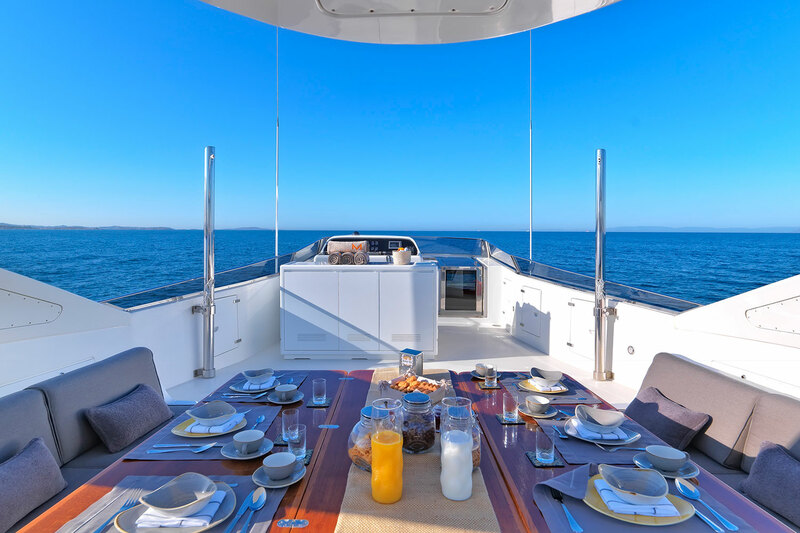 The yachts elongated side windows and wide sliding glass doors aft, provide a sense of openness and airy ambiance. 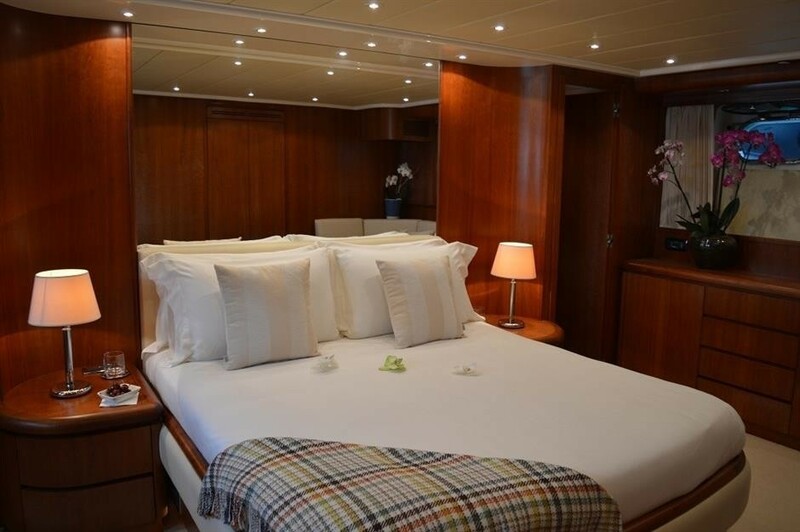 Guest accommodation is in one VIP cabin on the main deck forward, 1 master cabin on the lower deck, 1 double cabin and 2 twin cabins. 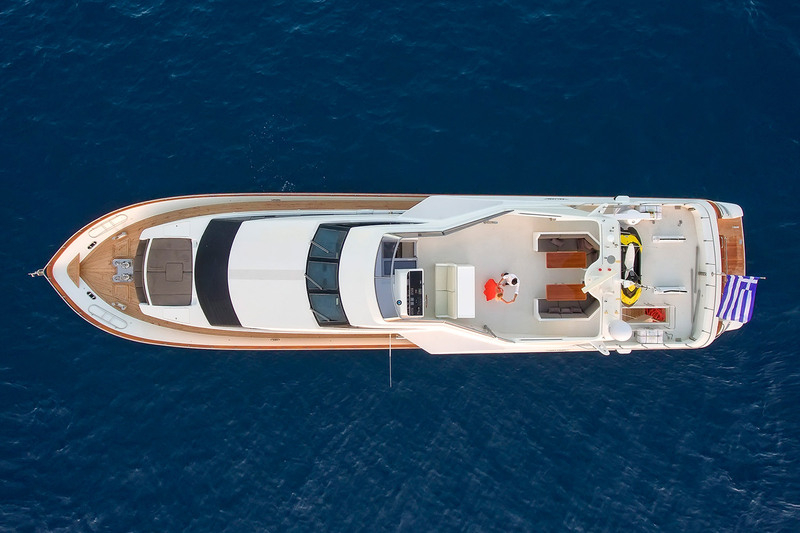 On deck, MARTINA has plenty of areas to enjoy. 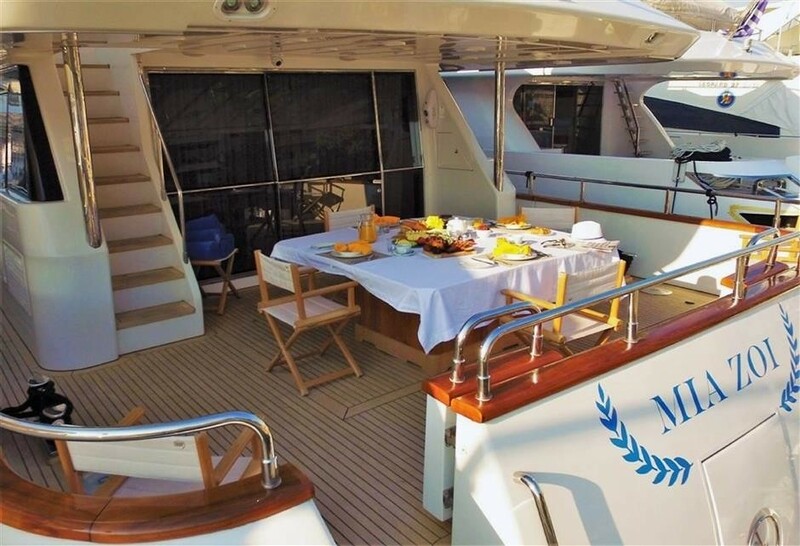 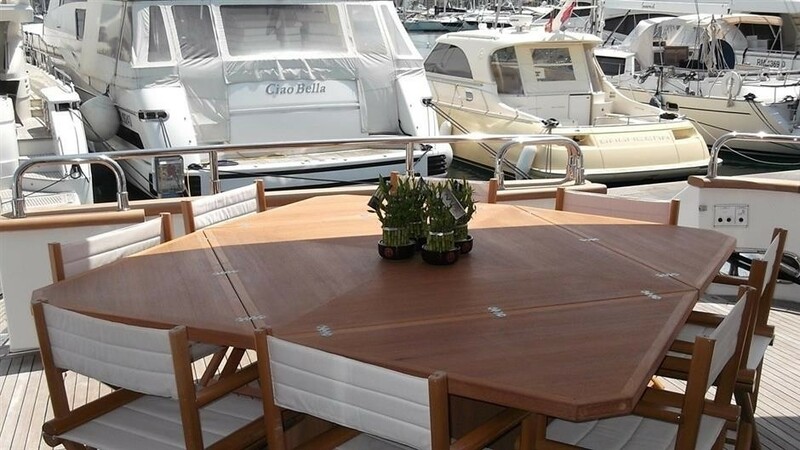 The aft deck is adjacent to the salon, offering shade and an alfresco dining option. 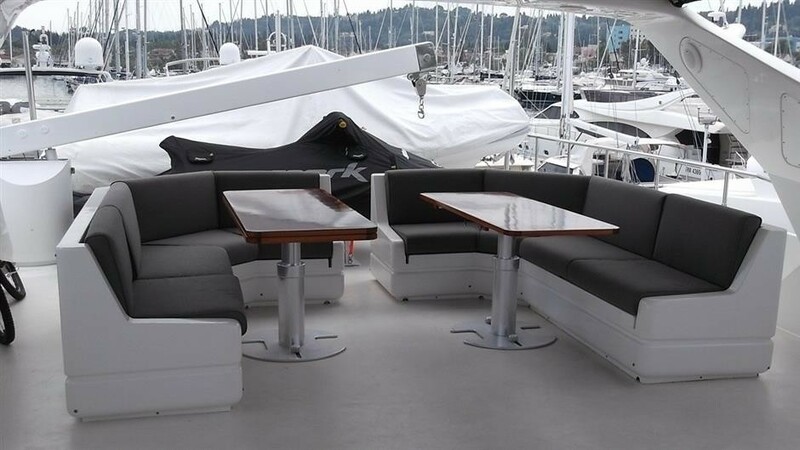 An upper sundeck is perfect for relaxing and entertaining in style. 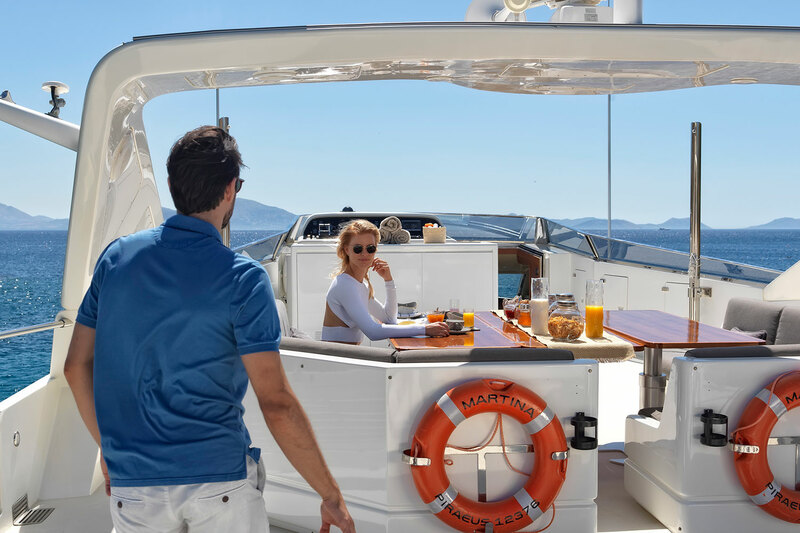 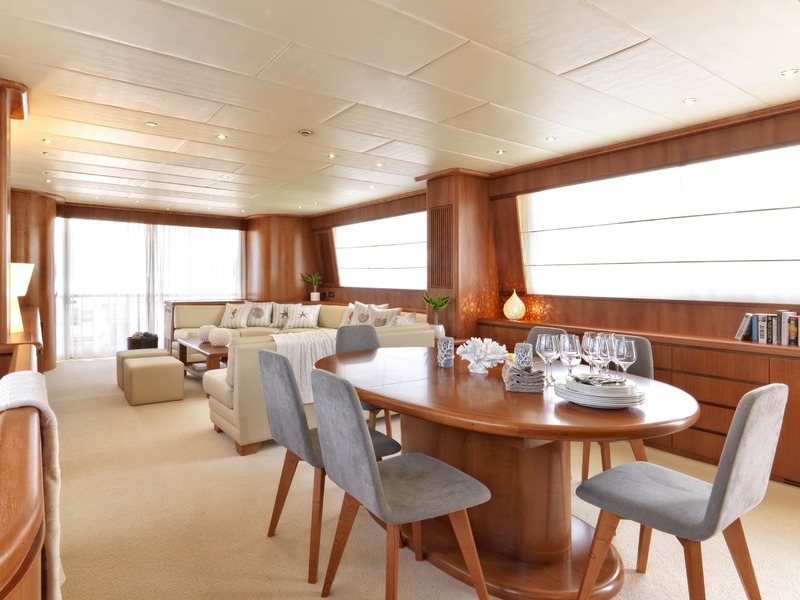 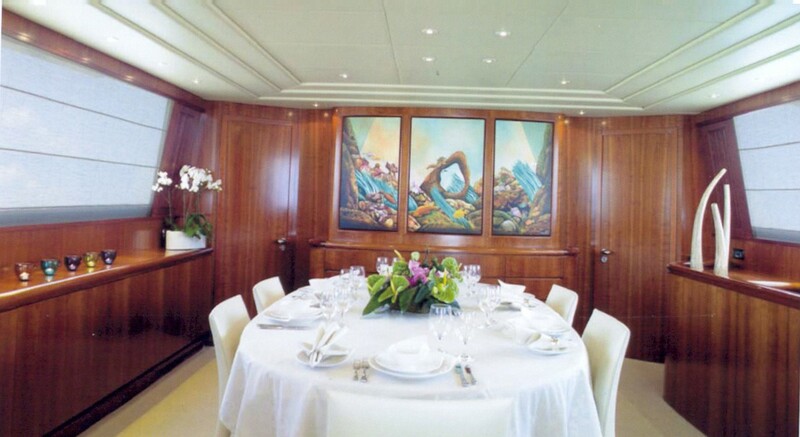 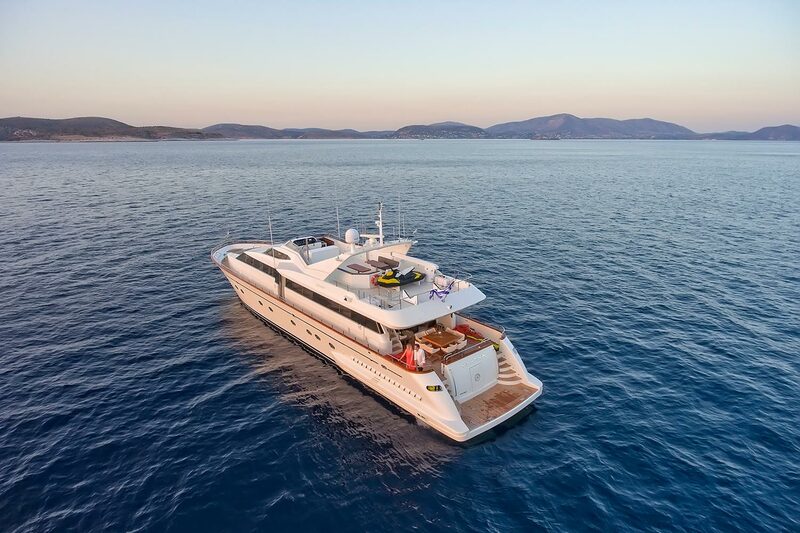 With a 360° wrap around main deck, guests can easily wander to the generous bow. 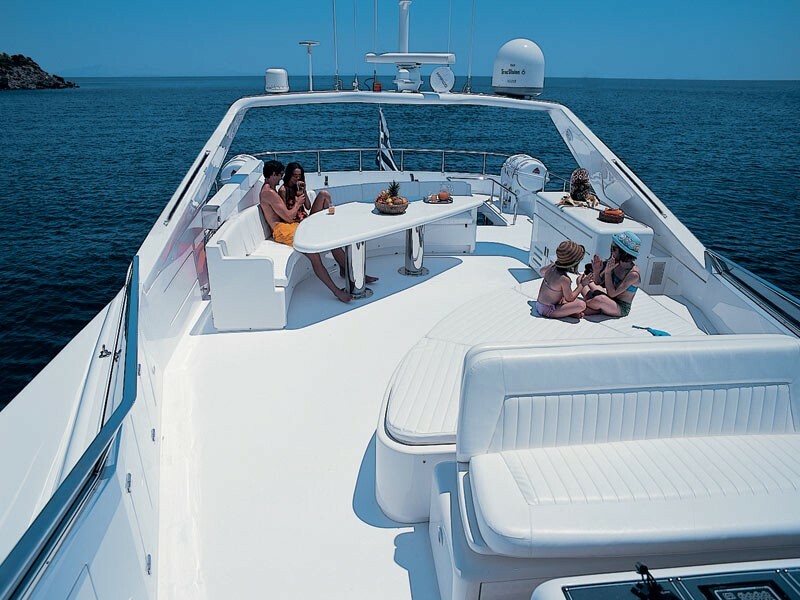 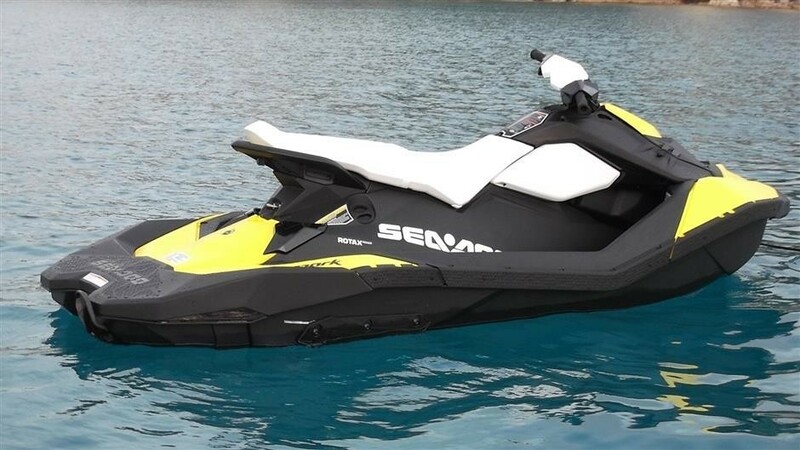 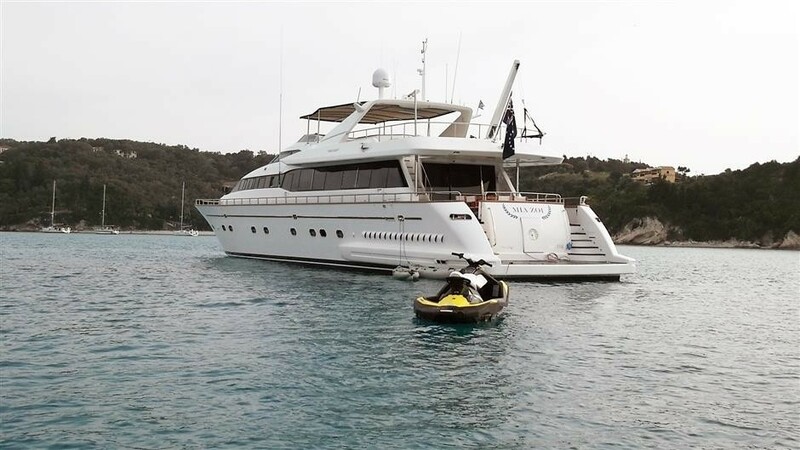 For the water enthusiasts, there is an extended swim platform to make the most of the good array of sea toys on offer. 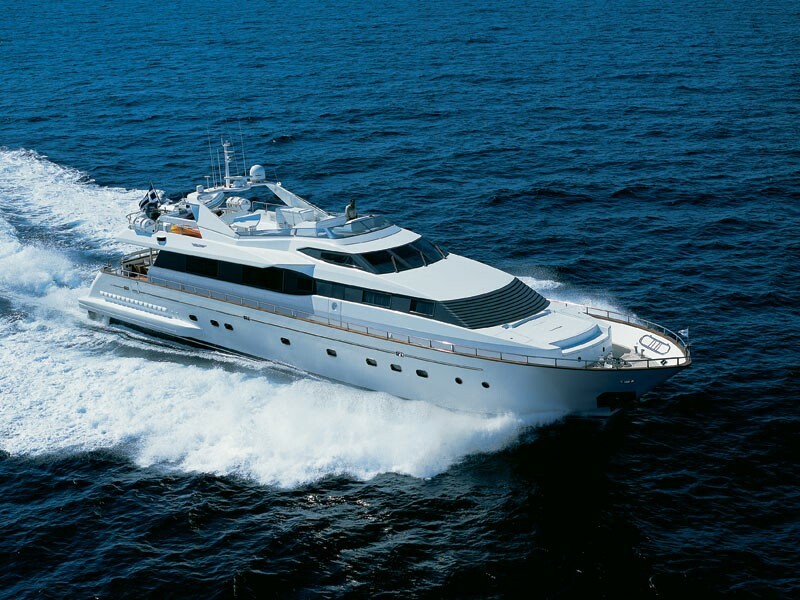 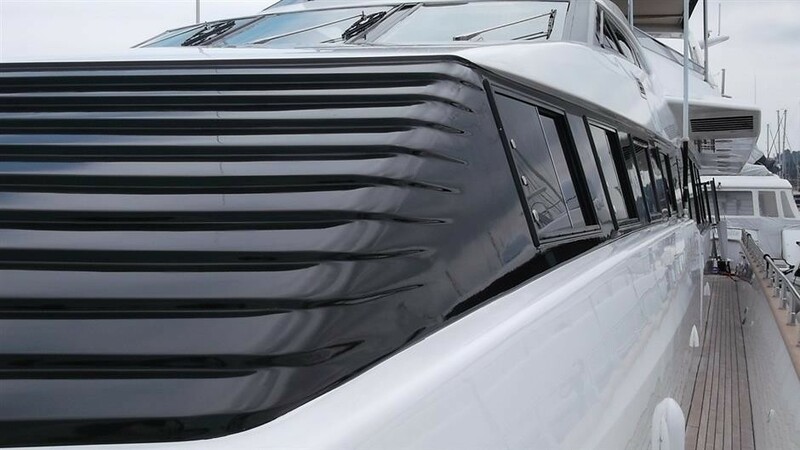 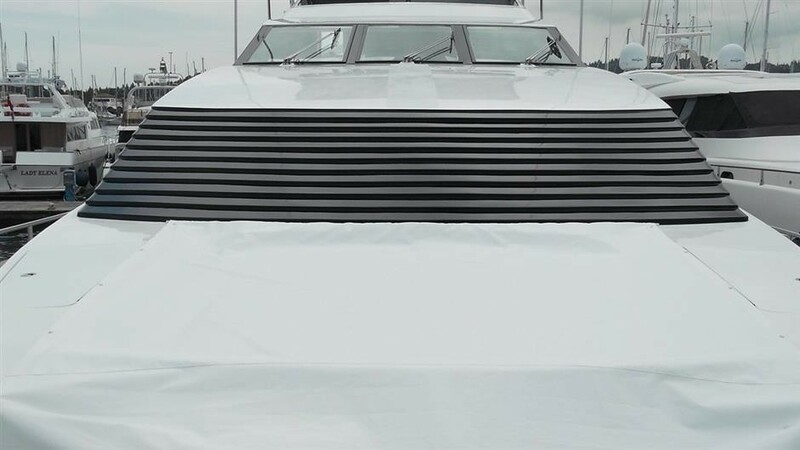 Powered by 2 x 1800hp MTU engines, the yacht cruises at 22 knots and has top speeds of 27 knots. 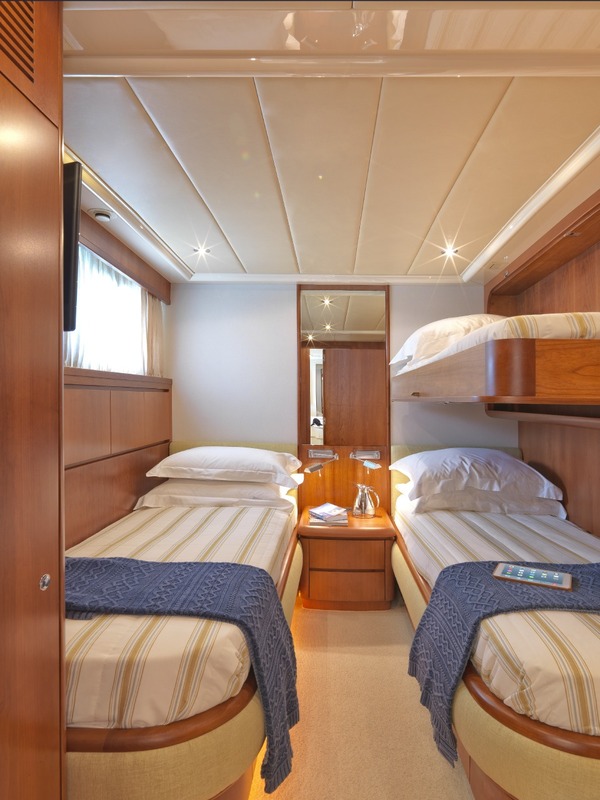 Accommodation is in 3 double and 2 twin cabins. 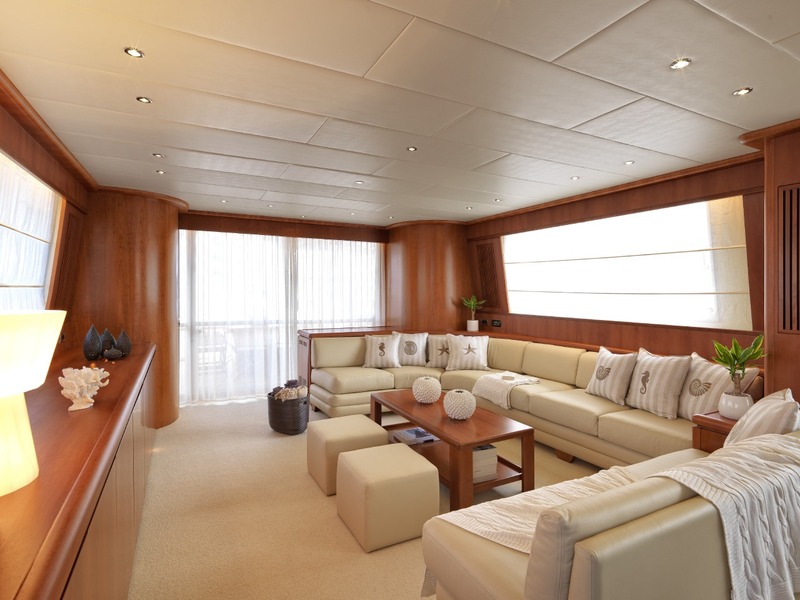 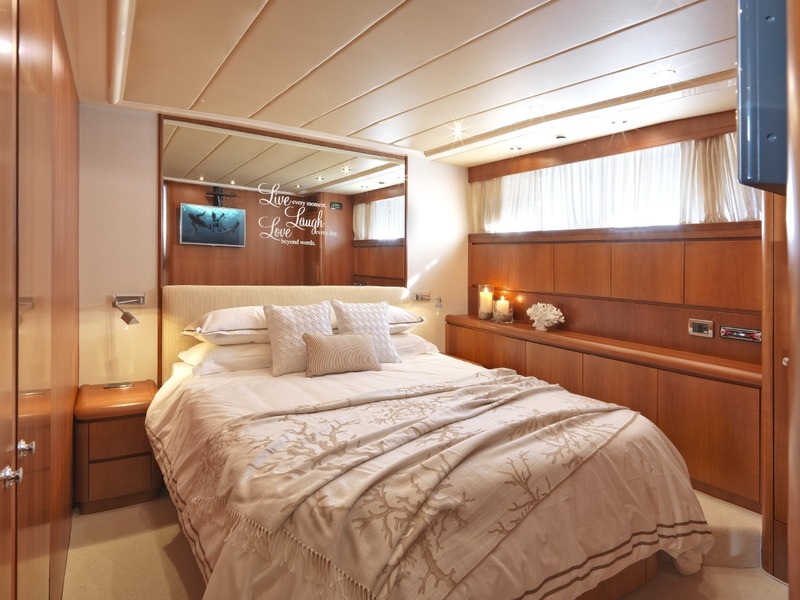 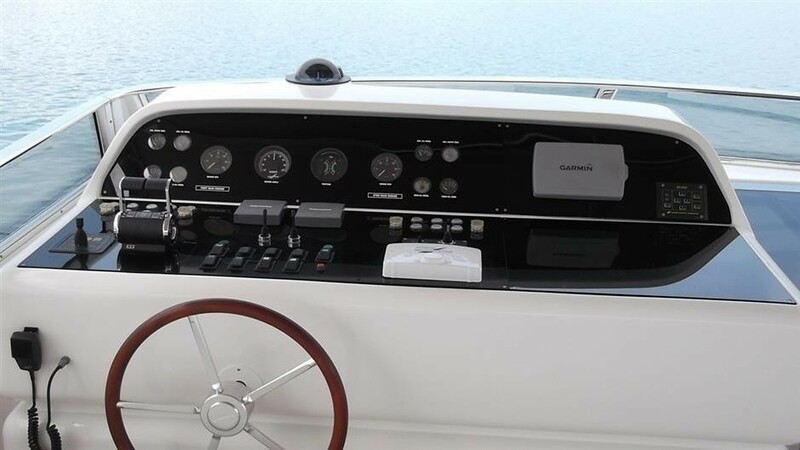 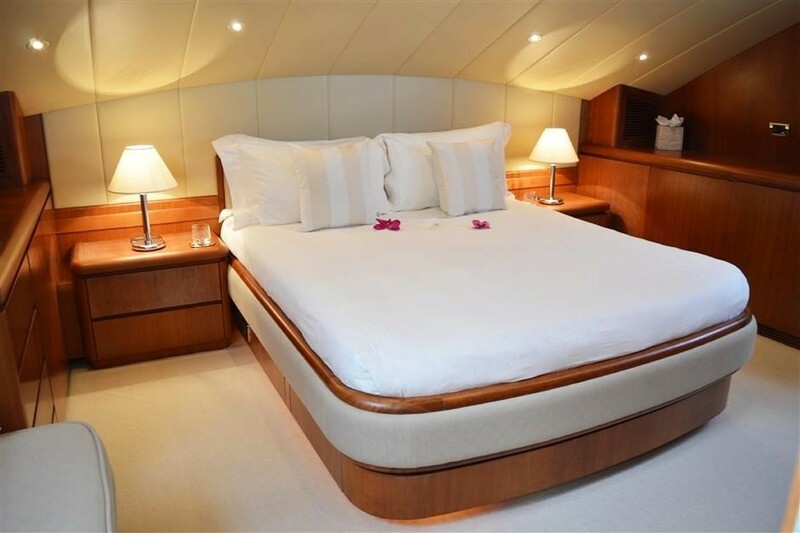 On the main deck forward is a VIP cabin with a full beam layout, vanity and seating area. 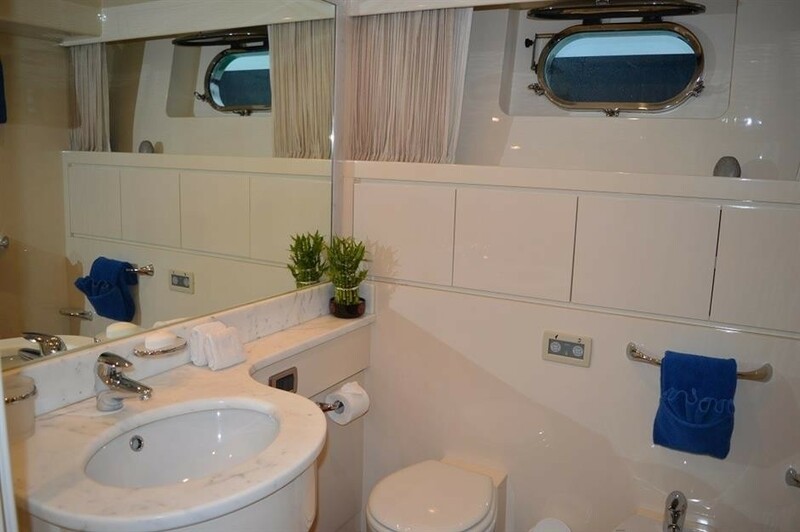 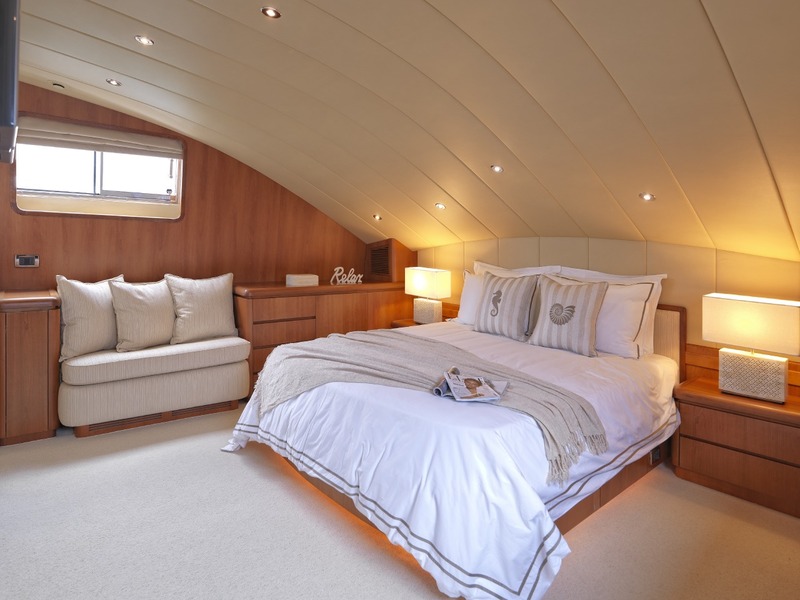 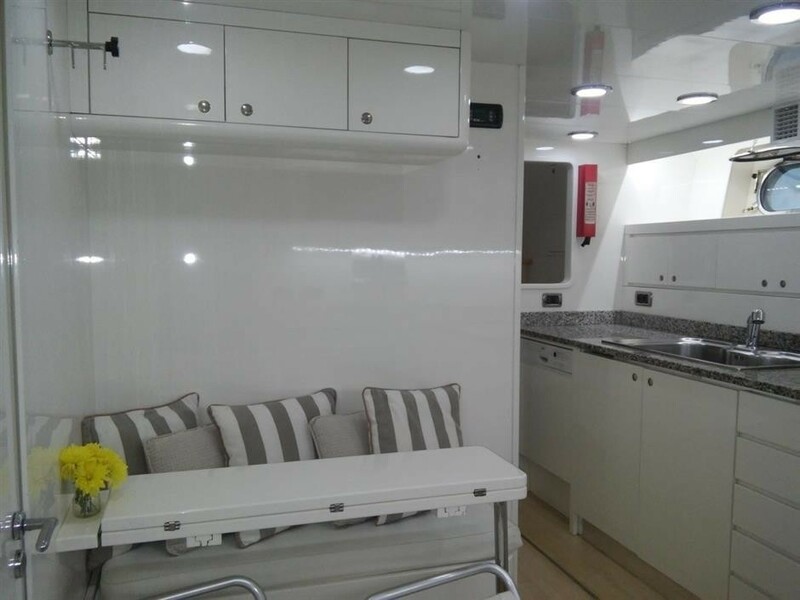 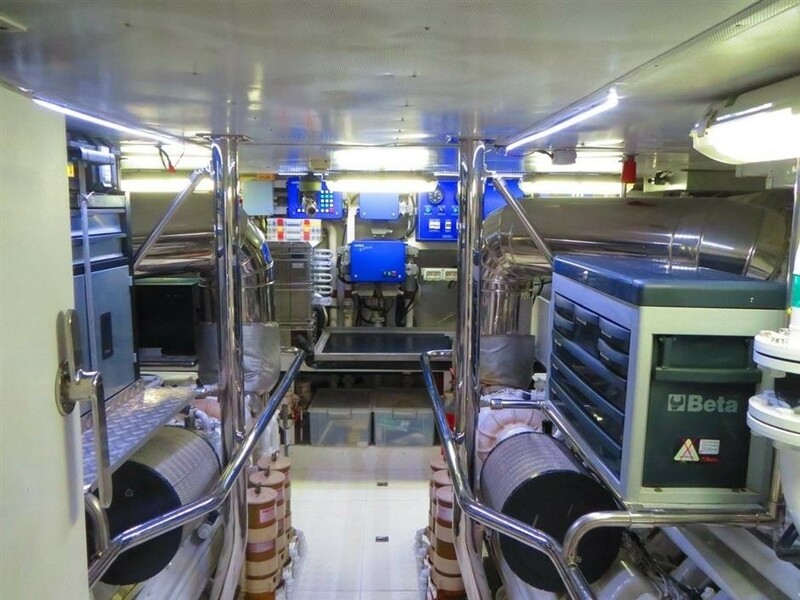 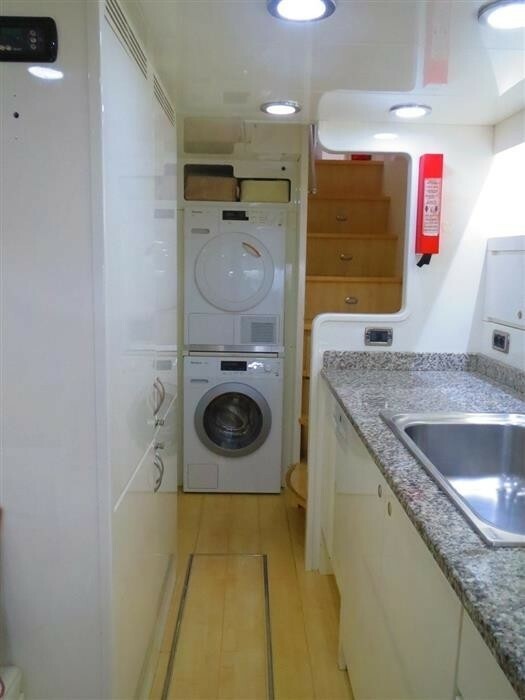 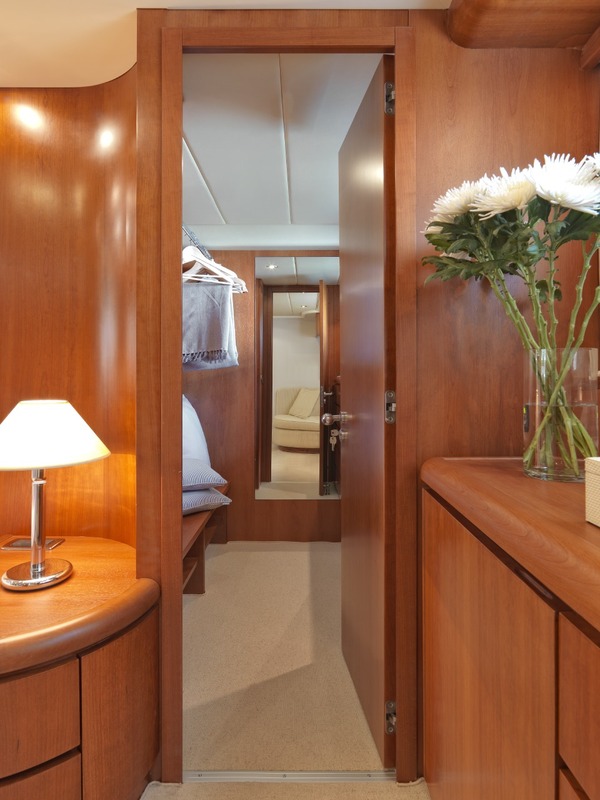 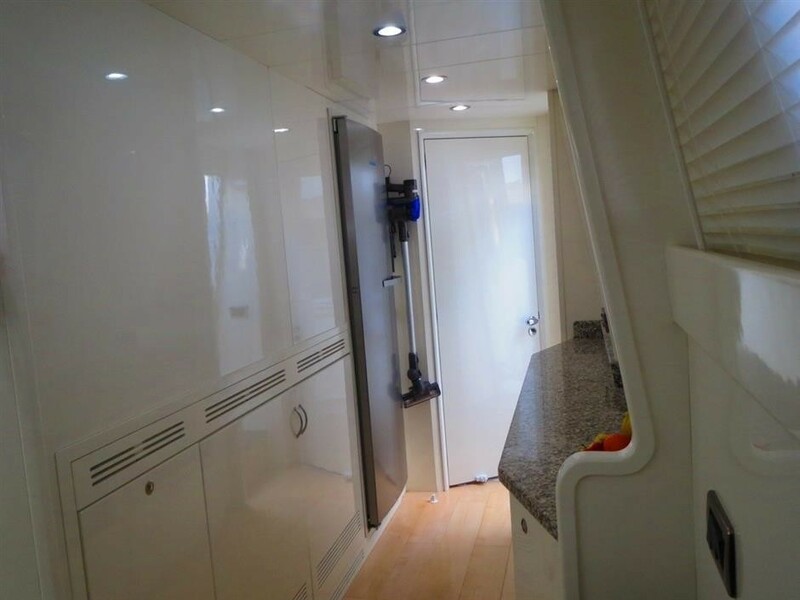 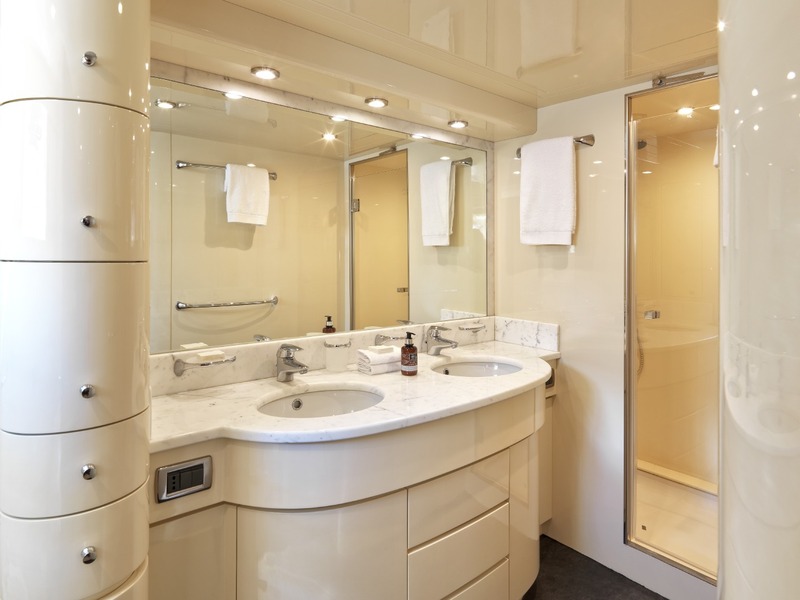 Below decks is a full beam master cabin, with a vanity and seating. 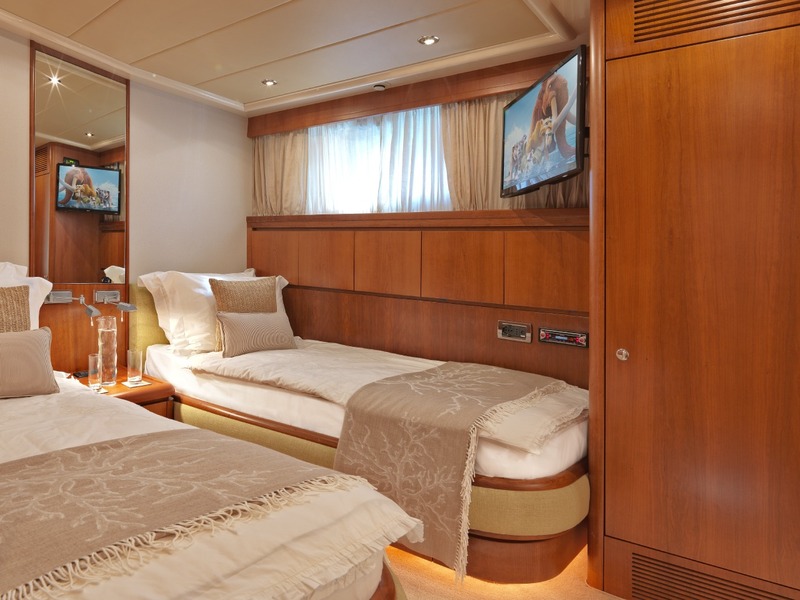 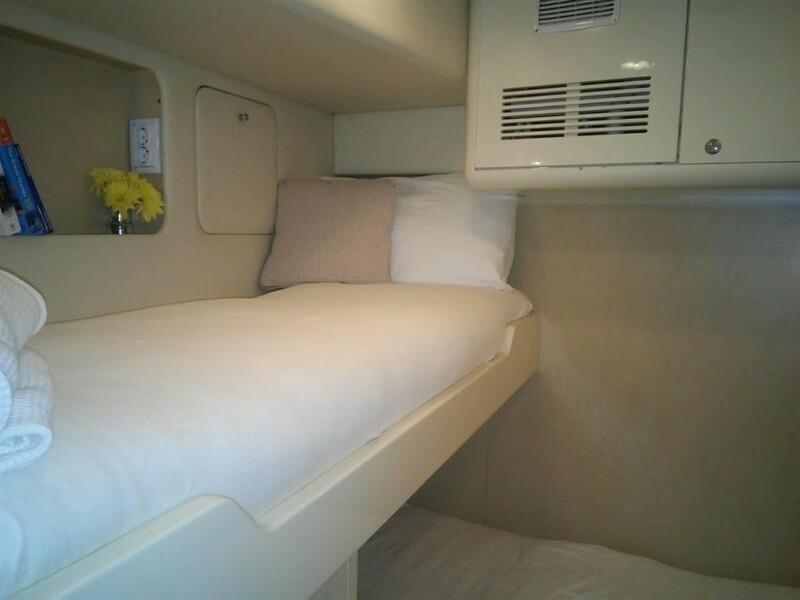 A double cabin offers a walk around double bed. 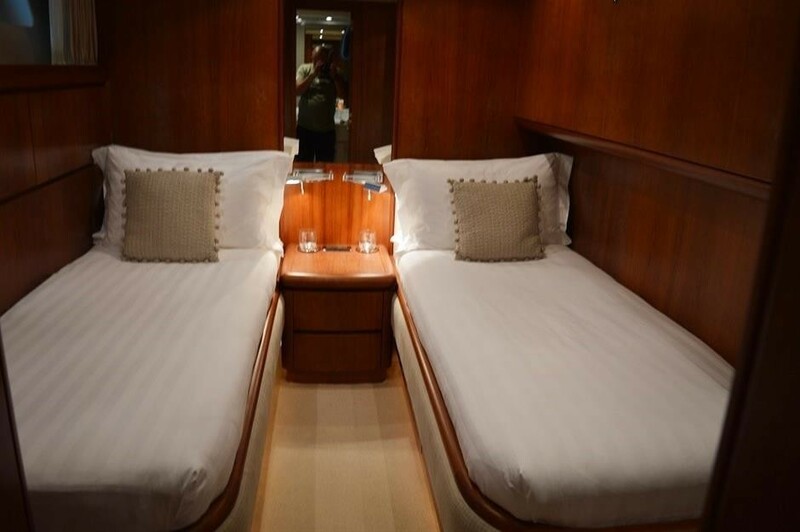 Two cabins have side by side twin beds. 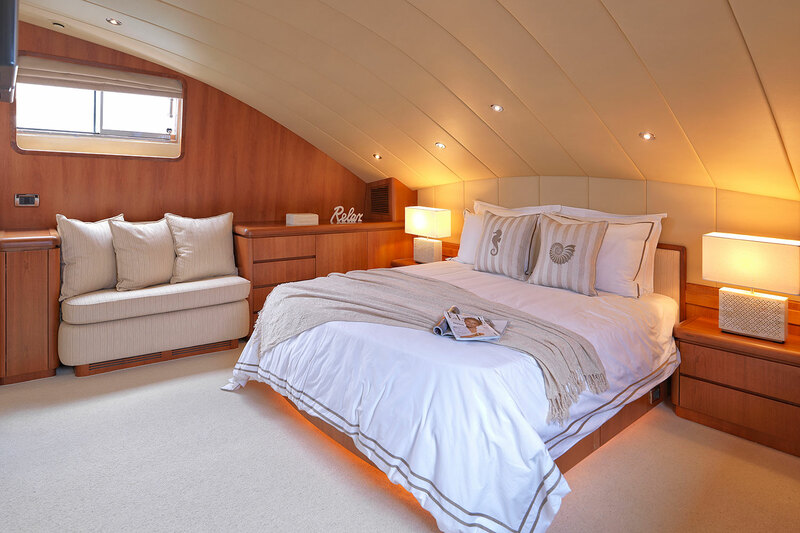 All cabins boast private en-suite facilities, ample natural light and a serene atmosphere. 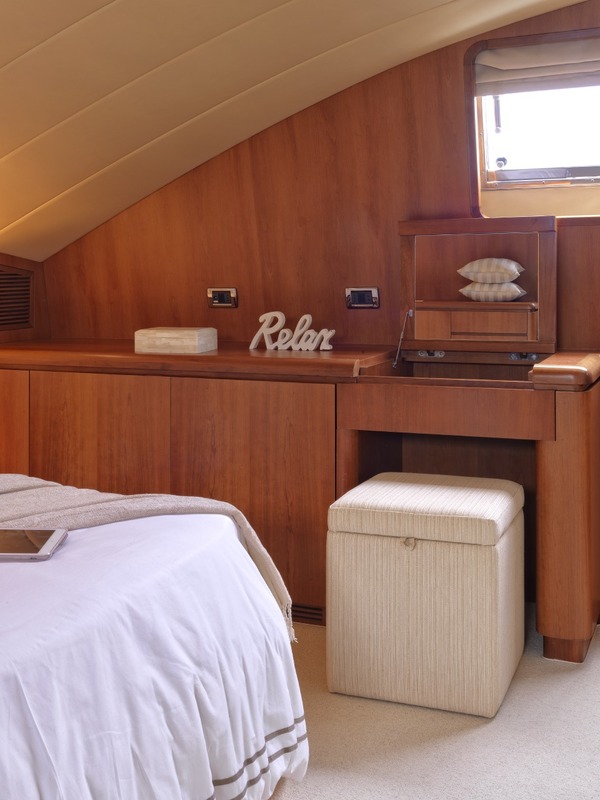 Each cabin enjoys TV and audio entertainment systems, a large movie library, mini IPad and internet access.